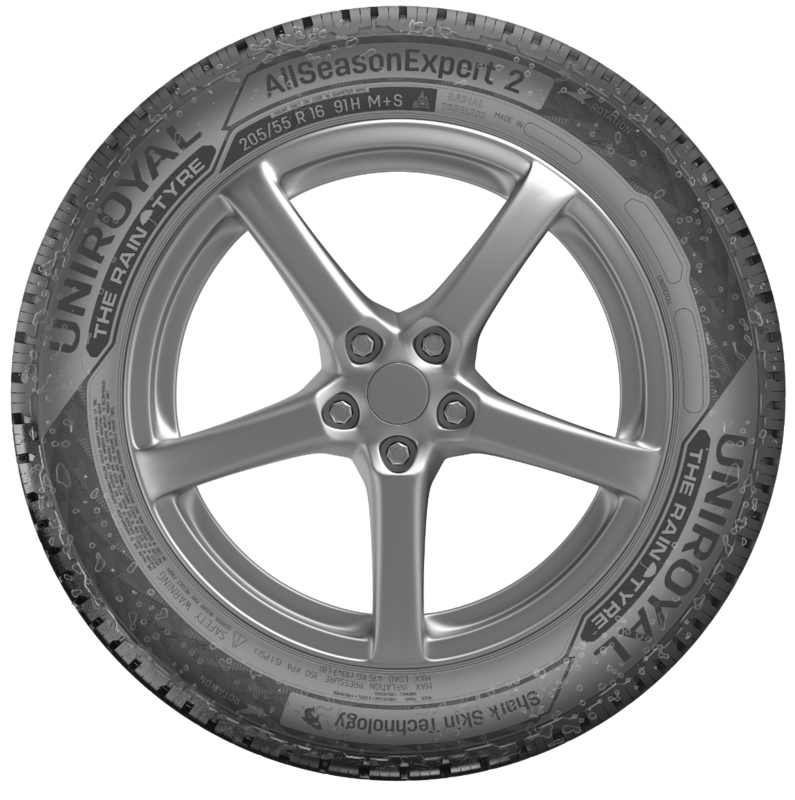 The new Uniroyal AllSeasonExpert 2 delivers outstanding safety and reliability all year round. 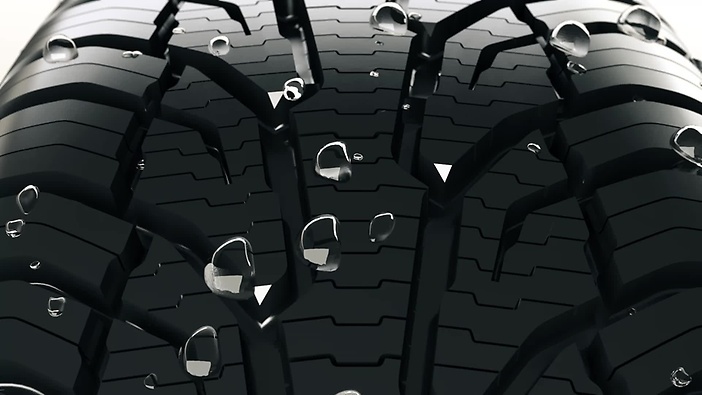 Safe driving in wet conditions with excellent protection against aquaplaning: An optimised tread pattern and the proven Uniroyal sharkskin technology offer enhanced water drainage against aquaplaning. The enhanced water-flow from the pattern center to the outside shoulder grooves guarantee you a safe driving pleasure. Solving the target conflict between dry and winter performance aspects we developed a well balanced pattern which offers stability as well as winter performance features. The special geometry of blocks and a multifunctional sipe concept deliver enhanced snow compression and excellent braking performance on both snowy and dry roads. A stable middle rib and wide shoulder blocks improve handling performance and stabilisation during side forces. Wear and cost of ownership: Buying one set all season tyres instead of buying summer and winter tyres means lower acquisition and storage costs. But you should also consider that all season tyres are always a compromise all year round. 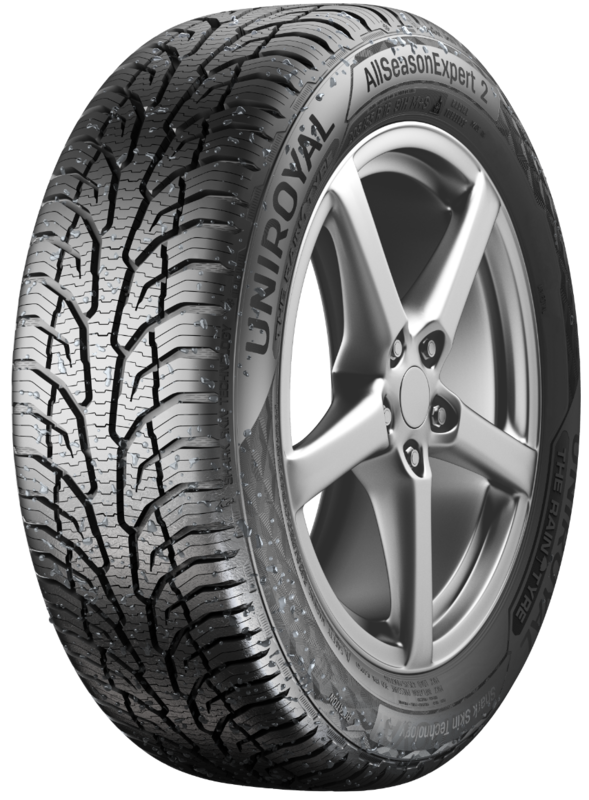 If you are an occasional driver driving mainly in cities where streets are regularly cleared of snow, and also living in a region with mild temperatures and winters the choice of all season tyres could be the right.